Today, wireless internet is available nearly everywhere: at home, in the workplace, malls, cafes, the airport, public transport, or even right on the streets. Accessing desired information freely has become much more convenient – but the open access Wi-Fi has opened up more opportunities for cybercriminals as well. Below, Dr. Rytis Rainys, the Director of the National Cyber Security Centre describes the danger of cybercrime through open networks and the ways to minimize these risks. According to Dr. Rainys, as the number of Wi-Fi users grows, so does the number of associated cyber-crimes. “We wish to use the Internet wherever we are. However, not all residents are aware that, by connecting to open Wi-Fi, they risk becoming targets of cyber criminals. Exploiting the security flaws of the unsecured networks, criminals can not only monitor what a person is doing online, but also read their emails, usurp their passwords and log-in information to social media or electronic banking accounts. Having obtained users’ passwords or having otherwise inserted themselves into the information flow, criminals can then steal money from their bank accounts,” warns Dr. Rainys. The Director of the National Cyber Security Center draws attention to the fact, that no Wi-Fi access point is completely safe, and citizens should only use public Wi-Fi networks if they do not intend to use the Internet for actions that require revealing personal information, or for financial transactions. These operations, if they are urgent, should be best carried out using mobile data or the VPN technology. Dr. Rainys lists several items of advice, which would enable effective security from cyber-crime and cyberattacks that use open access Wi-Fi networks. 1. Think before you click. Do not join networks with obscure titles or names that resemble those of the well-established service providers. 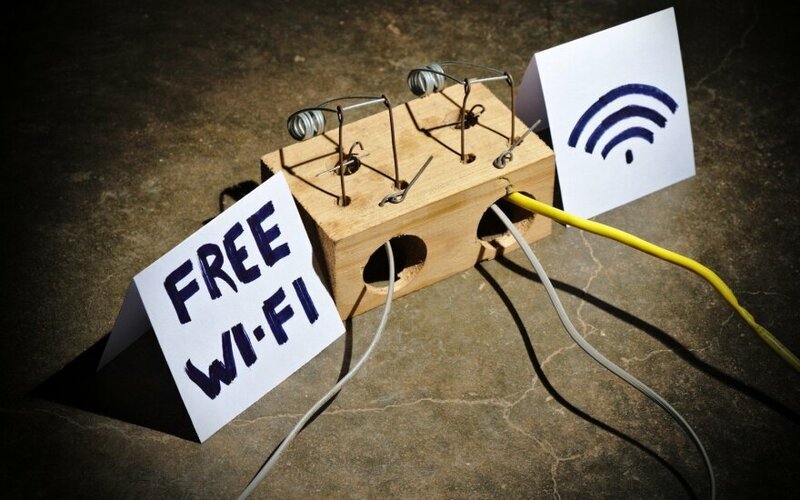 Criminals may be imitating a well-known Wi-Fi network to lure users in and gain access to their personal information. 2. Turn the “Automatically join networks” functions off. Often, people fall victim to cyber-crime simply because their devices automatically join available Wi-Fi networks. To avoid this, you should turn off the “Automatically connect to non-preferred networks” function and instead choose “Access point (infrastructure) networks only” function. Also, turn on the WPA2 feature to protects access to your Wi-Fi; do not use the WEP feature, which by now is old and susceptible to hacking. 3. Change the initial Wi-Fi password and turn on the WPA2 security feature. The home Wi-Fi router has a remote-control function, through which it is possible to change its settings. Often, to access this admin function is possible even without knowing the password, simply by using the standard factory password (found in the instructions) or the unique distributor password (placed on a sticker on the router). To avoid this, it is recommended to create a new, personalized and unique password. 4. Delete the list of “open” Wi-Fi networks from your computer and phone. Once you join a Wi-Fi network, the computer or phone system will try to join it in the future as well. 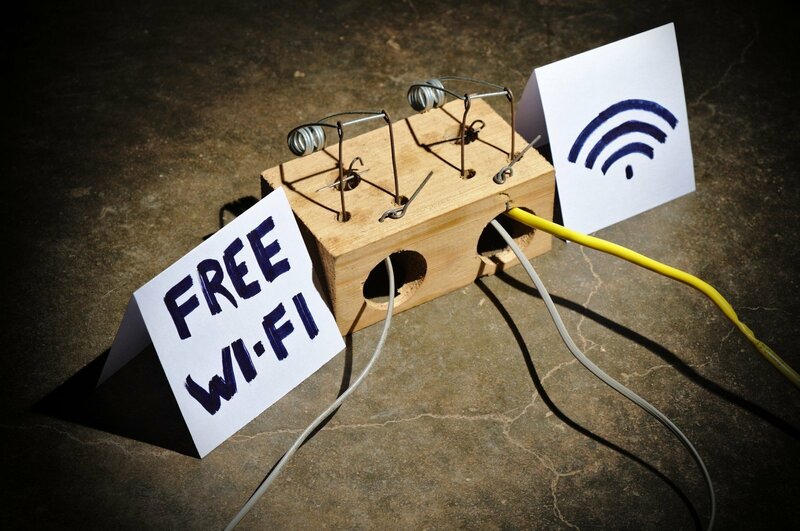 Sometimes, cyber-criminals who know what public Wi-Fi networks you use can create a fake access point, to which your device would then connect automatically. To avoid this risk, delete the list of networks (“forget networks”) after connecting to any public Wi-Fi. 5. Use a firewall. A properly configured firewall can help maintain a secure Internet connection and protect from attempts to hack into your devices. 6. Do not send important information through public Wi-Fi networks. It is always safer to send important documents or other sensitive data through secured Wi-Fi networks or, if needed, using mobile data. 7. For a secure connection, use VPN. If you are away from work and wish to safely connect to the intranet or, for example, access your e-mail, use the VPN technology that creates a safe virtual tunnel between you and your company. Then, you can exchange sensitive work-related information without fear of external intrusion.